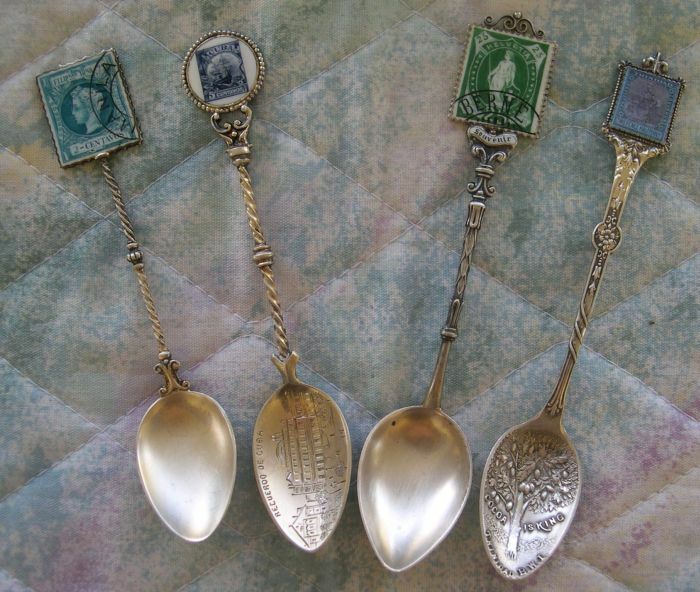 Spoons with Stamps are an interesting niche of the spoon collecting hobby. ideal way of identifying the country of origin. 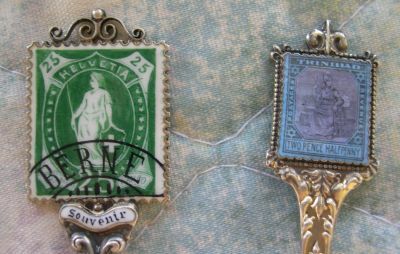 The left stamp is from Switzerland and the right stamp is from the island of Trinidad. The bowl shows Piz Bermina, the highest summit in the Eastern Alps. 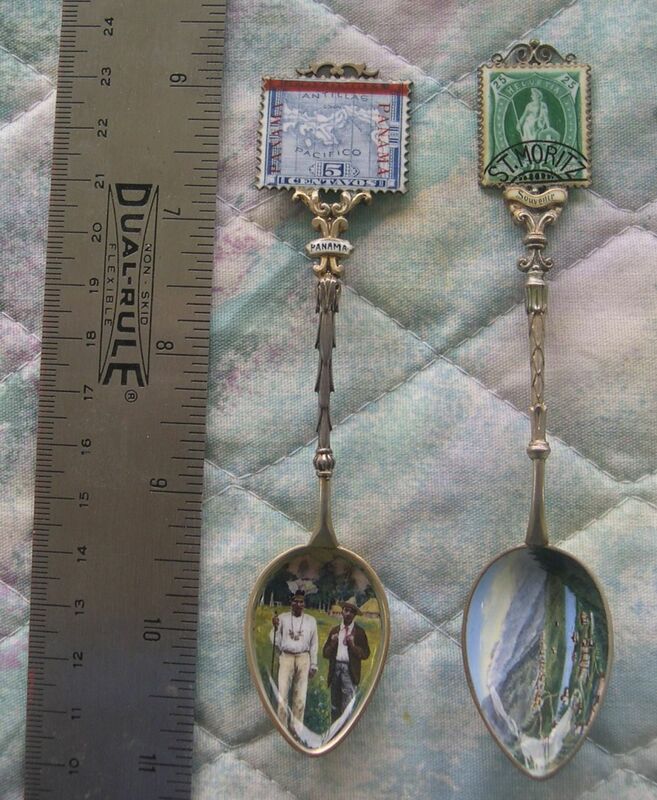 A gold plated spoon with a church tower bowl image (probably St. Stephens Cathedral) and a 10 Heller stamp with a Wien (Vienna) postmark. 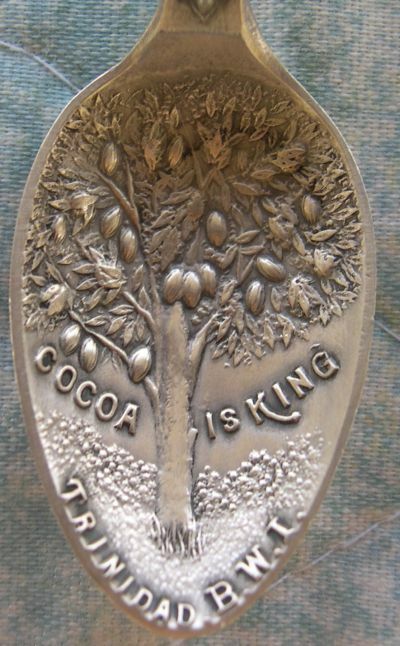 A number of other stamp spoons are available. If you have any you wish to sell, please contact me.